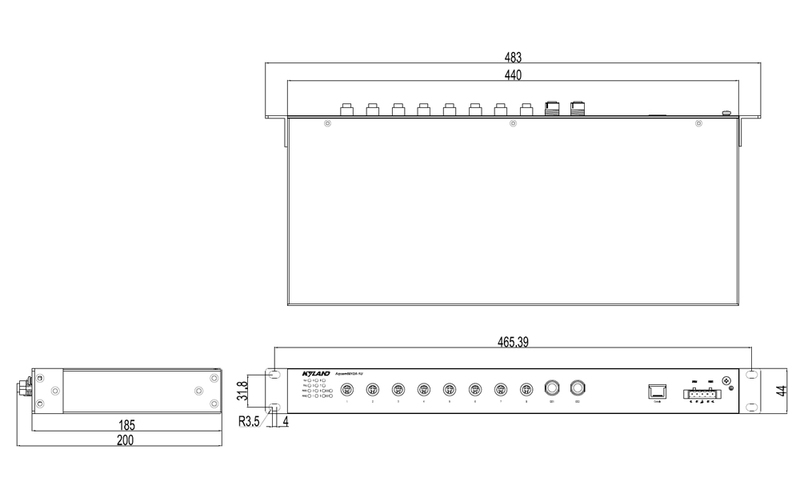 The Aquam8012A-1U series managed rack mountable onboard M12 switches, specially designed for rail industries, support up to 2 Gigabit copper ports and 8 10/100Base-TX ports. Aquam8012A-1U supports a wide range of operation temperature from -40°C to +75°C, and meets the EN50155, EN50121 and other rail industry standards. The switches support redundant ring protocols including DRP and RSTP, support VLAN and GVRP, flexible networking and partitioning, multicast, video multicast, and rich network management functions including SNMP. Aquam8012A-1U series can be widely deployed in onboard PIS, CCTV systems, and industrial applications asking for anti-vibration and high EMC performance.